Doing research for my current book project, I came across an amazing series by the photographer Kadir Van Lohuizen on Sea Level Rise. 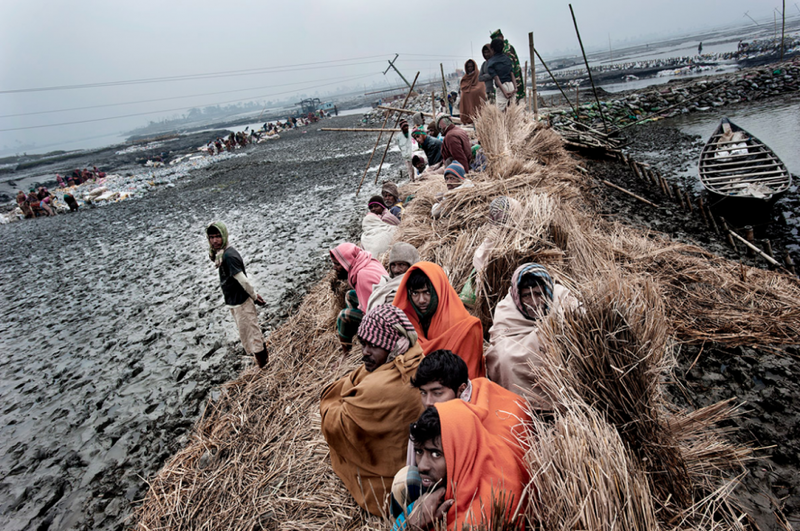 At the right is one of his images, this one taken in Bangladesh, where the subsiding delta is combining with typhoons and rising sea levels to imperil millions of farmers and other poor people. Van Lohuizen’s project focuses on the impact of sea level rise in a number of countries around the world, from threatened island nations like Kiribati to abandoned corners of wealthy nations like East Yorkshire in Great Britain. Kadir Van Lohuizen’s Rising Sea Level project can be viewed online.